What are the average rates for hiring a copywriter? Do you charge per word? How many words do you write per page? Do you do “white label” (anonymous/ghostwriting) projects? How can I brief you about what I want? Do you send a formal quote? Can you provide a sample for my project? How will you send me your output? Do you do search engine optimisation (SEO)? Copywriting is writing that is intended to influence a defined audience to take an action – buy your product, subscribe to your service, support your cause, whatever. It’s the sort of writing you see on websites for all sorts of businesses and organisations. My specialism is called technical copywriting, which is all about explaining how products, services and processes work. Clients come to me to help them improve the way they communicate with new and existing customers. I learn about the business and then write simple, clear content tailored for the target audience. Hiring a good copywriter makes it easier to get your personality onto the page. It helps you make a more relatable connection with your audience, building trust and ultimately leading to improved business results. Every big business uses copywriters to help them stand out. You could, too. The Professional Copywriters’ Network’s annual pay survey for 2018 revealed that the average day rate for copywriting was £342. My day rate starts at £425. Serious businesses who are looking for the best technical copywriter hire me to deliver outstanding content. John rewrote hundreds of articles in the Sky TV support website, creating a streamlined help guide on time and on budget. Communication: how clear is the brief? Complexity: how difficult is the work? Duration: how long will the project take? Urgency: how soon must the work begin or end? Value: what results can my experience deliver for your business? No, I avoid per-word charging because I think it encourages bad practice. I much prefer charging per article or per project. If per-word charging is the only option for a project, my prices will start at £0.50 per word. 1 round of writing (the first draft). 2 rounds of revision based on your feedback. We’ll need to set a mutually agreeable deadline for completion of the first draft. To stop projects dragging on, I usually set a 2-week time limit on revisions. Ecommerce – sell sheets for digital payment technology. Energy management – user guides for heating and cooling systems. 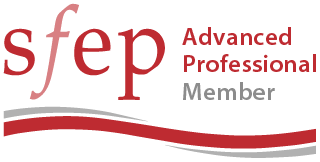 Engineering – guides and policy documents for employees. 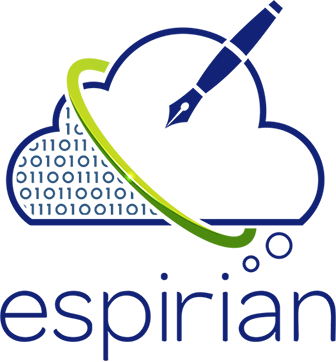 Financial services – blog content for accountants. 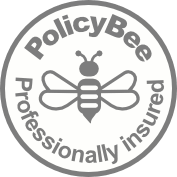 Insurance – white papers and magazine articles for global teams. IT – web pages, blogs and guides for software companies. Manufacturing – web pages about plastic moulding and calibration. Recruitment – web pages and brochures for agencies. Resource management – user guides for personnel software. Television – setup and help pages for programme planners and remote controls. Don’t worry if your industry isn’t listed here. One of my skills is being able to digest complex subject matter and turn it into content that end users find simple and clear. My track record of delivery means that clients such as Virgin Media, Sky and AXA have trusted me to write outstanding content. If you want the same, I’m your guy. John has been a huge help on our big email unification project – one of the biggest email projects in the world as far as ISP consolidations go. A top man and no hesitation to recommend. Some website pages can be well under 200 words, especially if there’s a strong visual element to the content. Others can be much more text heavy. It all depends on the context. I’ll write as many or as few words as are needed to achieve the intended aim of each page. When I write business blog posts, I tend to go for length and depth because that can help your content rank well on search engines. This means my blogs are usually at least 1000 words long. For more about this, check out How long should my blog posts be? Yes. Most of my big clients don’t want to reveal that an independent writer has produced their content. If you want to keep things discreet, that’s fine by me. I’ll write the content according to your brief and then hand everything over to you. You can present it as your company’s own content, and my name won’t be anywhere to be seen. I ask 12 questions at the start of all new writing projects, to help me understand what you need, who we’re trying to appeal to, the tone of voice to use, and so on. To see the questions, check out my briefing page. I ask for 2 weeks’ notice before taking on new writing and editing projects. I may be able to take on projects on shorter timescales, especially if the job is relatively small or urgent. If I’m booked up, I may have to ask you to wait for a short period before we can work together. Alternatively, you can get in touch with one of my recommended copywriters. I never work with more than 3 clients at once. Yes. I’ll send you a quote that’s based mostly on the time I think I’ll need to complete your project. Almost all of my writing quotes are based on a flat project fee. That way, you know what your budget needs to be to work with me, and it should be easier for you to organise a Purchase Order (PO) if necessary. For work worth more than £1000 for a new client, I ask for a 50% deposit upfront, with the second 50% invoiced a month after the first invoice. If we’ve worked together before or if the job is worth less than £1000, I won’t ask for a deposit and will instead invoice for the full amount on completion. Read see my external posts. Listen to my podcast interviews. Request my technical writing samples by email: support *at* espirian.co.uk. Yes, I can work on producing a small sample of writing for you. This usually costs £250. Writing projects can take several days or longer to complete. Before you commit to that kind of financial investment, it’s wise for me to work on a sample. That way, we can both see whether we’re a good fit for each other. You send me a sample of at least 5 pages of existing content (from your website, blog or other source). I spend 1–2 hours reviewing the content in Word with Track Changes on. I record a private video (approx. 15 minutes long) to talk through my feedback. You’ll see me on camera and get a good feel for my thought processes as I put myself in the shoes of your potential customer. I upload the video to Vimeo account and then email you the link with a password to access the content. Clients have told me that this sample alone has been highly valuable in understanding some of the things they need to change about their business. For example, my reviews can reveal a misunderstanding about the product or service on offer, and that leads the client to make a change to their marketing or sales process that could have a significant positive effect their business. Most clients ask for Word documents but I can handle lots of other formats if needs be. If I’m editing an existing Word document, I’ll turn on the Track Changes feature so you can see what’s changed. My service is all about getting the words right. If you need a glossy design to go with the writing, I can bring in my design partners to help. This will cost you more but may be more convenient than sourcing your own designer. If a writing project takes more than a few days, I will quote a flat project fee. I charge £70 per hour for editing work. 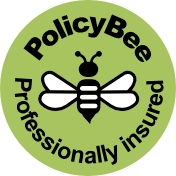 Yes, I have professional indemnity insurance via PolicyBee for £500,000. Some of my bigger clients won’t work with an independent copywriter who isn’t insured, so that means all of my clients benefit from this safety net. I’m also on the data protection register of the Information Commissioner’s Office (ICO) in the UK – see entry ZA254256. Not as a standalone service, but I do use the principles of SEO to help me write good content that ranks well on search engines. The best way to rank well is to produce consistently good content over a long period and to get others to link to your articles. I can’t deliver you that overnight, but I can provide the writing help that puts you on the right path. Email me at support *at* espirian.co.uk and I’ll get back to you as soon as I can.